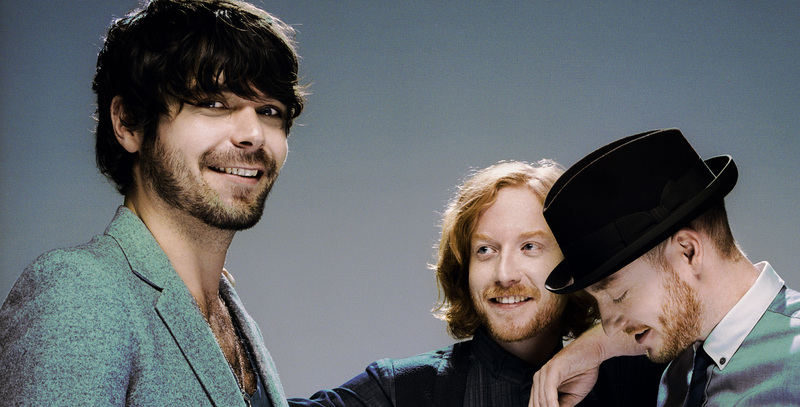 According to a press release from Biffy Clyro’s record label, the Scottish band have released ‘Sounds Like Balloons’ from their sixth studio album Opposites as a single. Previous singles from the album, first released in 2013, include ‘Black Chandelier’ and ‘Biblical’. Produced by Garth Richardson, who also worked on Biffy Clyro’s previous two albums – Puzzle and Only Revolutions, Opposites reached #25 on the RIANZ album charts. A two-CD Tour Edition is set to be released on July 4. With songs that successfully, according to NME, blend the ‘experimental and anthemic’ why aren’t you already a fan? As new fans, there’s nothing wrong with being new, we’ve a lot to learn. The band’s set to make their way to Auckland to perform at Auckland’s Powerstation on September 2. EDIT: So according to long-time fans of the band ‘Sounds Like Balloons’ was never released as a single. The press release was either telling porkies, or maybe it’s been released as a single here in NZ. We’ll keep our eyes and ears peeled, we’ll get to the bottom of this. EDIT EDIT: Definitely an NZ-only single. We think, no yeah definitely. Probably? No yeah there was only NZ info in the release. Yep, I’m sure- am I? Definitely maybe NZ-only. Sounds Like Balloons was never released as a single. The 4 singles from Opposites were Black Chandelier, Biblical, Opposite, and Victory Over The Sun. The Sounds Like Balloons video was simply a crowdsourced amalgamation of fanshot footage compiled by the band to thank the fans for their support.